REPORTS: Diego Simeone on Chelsea's radar if Jose Mourinho fails? According to various reports in the British Press over the weekend, Chelsea have drawn up a list of potential managerial targets should Jose Mourinho fail to arrest the current slump we find ourselves in. Diego Simeone is top of that list! I personally have 100% faith in the fact that Jose Mourinho will turn things around this season and we would not have to worry about having to replace him with anyone. 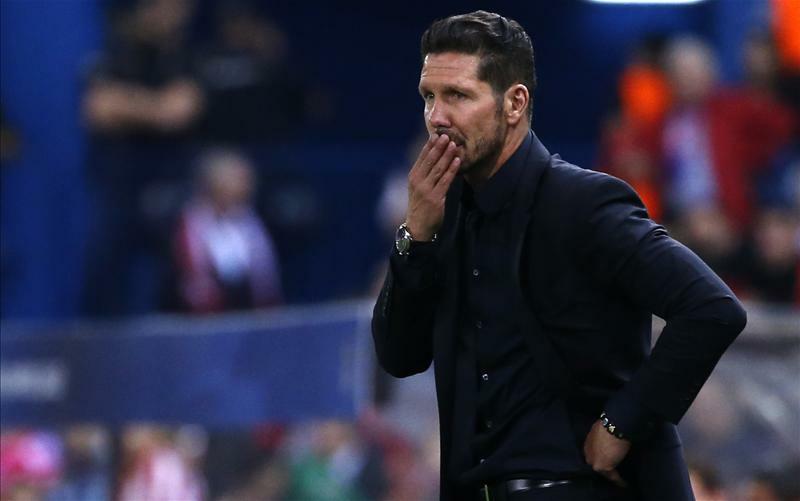 However, we have to consider the alternative it things didn't go as planned and in my opinion Diego Simeone is top drawer! You only have to look around the Leagues in Europe now to see the obvious talents in the game. Some of them would be out of reach and some you wouldn't even consider making an approach but with Simeone it's different because of the fantastic work he has done in Madrid. You look at Atletico and they are not a team full or stars or fancy Dan's, they are grafters, they are workers and give everything for the team mates and the manager. To me that speaks volumes. Hard to beat, well organised and disciplined, Simeone demands 100% from everyone and very rarely does anyone let him down. Pacing up and down his technical area, giving instructions, pleading with the crowd to support his players and finally just to show his presence/authority, Simeone has built his reputation into that of someone who is highly regarded who doesn't spend fortunes but turns them into winners. There is no doubt that if Mourinho fails, Simeone is the man for me!